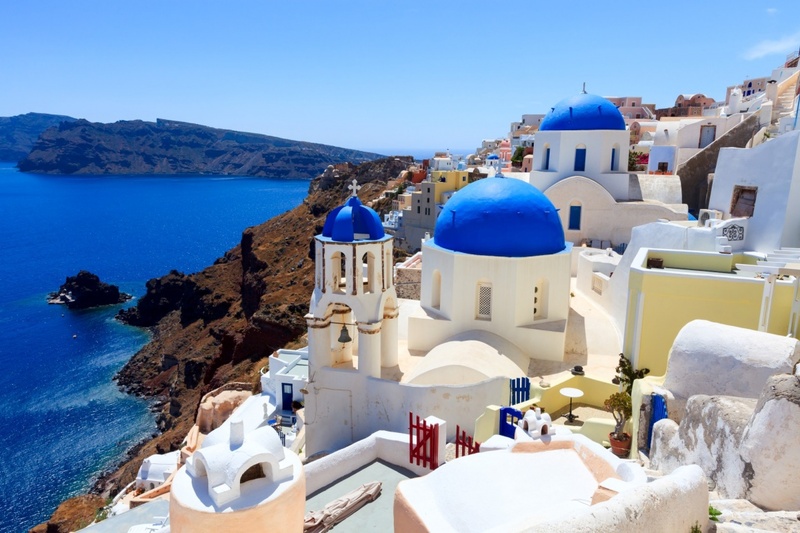 Oia is the second most important town of the amazing Santorini island attracting annually tourists from all over the globe that are looking for some time to relax and unwind away from all the winter worries and anxiety. Located on the north side of the island, just 11 km away from Fira, Oia is an amazing place to be especially during the summer. Its special characteristic is the architecture of the town, since you will see the most diverse and thrilling scenery with caves in a rocky background above the sea that will astonish you. Oia is mostly known for its amazing sunset attracting the romantics and not only, that wish to spend quality time with their loved ones. Known for the amazing view of the sunset, this is the most charming village in Santorini that will undoubtedly give you only the best memories. The sunset’s view with your other half is the most idyllic place to be- but do not expect privacy as there are hundreds of people doing the exact same thing with you- and you may spoil yourself night with a dinner at the most amazing traditional taverns and restaurants offering you the authentic greek flavors and the local delicacies at reasonable prices. Be aware that in Santorini you are offered so many choices to choose from when it comes to your hotel accommodation as well as a variety of restaurants and cafes. Find information about selected Hotels, apartments and rooms in Oia to choose the perfect place for your accommodation.